Hershey's Better Basket Blog Hop! Hershey’s is donating $10 per each blog participating to the Better Basket Blog Hop to Children’s Miracle Network (up to total of $5,000 by blog posts written by April 4th, 2010). Join me! Let's pass more baskets for this wonderful cause! Thank you all guys !!! 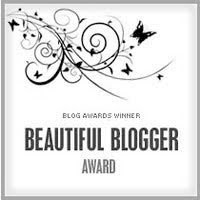 All you need to do is; Place this beautiful basket on your blog post. 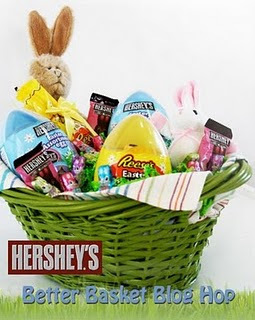 Link back to to person who gave you an Virtual Easter Basket and pass this basket on as many person as you want! Leave your link "Better basket.info/BlogHop comment section. You can also find the official rules of this blog hop here. 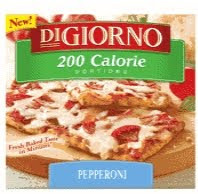 Library, Popcorn Shrimp and Digiorno??? He met two of his friends from same class. I love when he sees his friends outside of school, it makes him so happy. I kept saying 'use your inside voice'. Lol, the kids got excited!! They spent almost one hour on computers. Then we chose some books, a DVD and a CD. He got a few fun books. Paper folding and crafting books. I think those books keeps him busy this week:) We stopped South Side Restaurant which is very close to home to take out lunch. He loves popcorn shrimp&fries. Our Spring Break has started pretty good. He's watching his DVD now . And now, mommy has some bills to pay!!! Today is the first day of Spring Break. My son is home. It's raining again today. We woke up late this morning and I'm taking a day off blogging. I promised my son to spent together today. And we're making pancakes for breakfast together!!! Hope everyone is having a great Spring Break! I received a package from Fresh Wave yesterday. Green Home Natural Odor Eliminator Kit contains, one 6.25 oz. soy candle, one 8 oz. spray and 16 0z. Odor Neutralizing Crystals. Fresh Wave products are made with natural active ingredients, none-toxic and no perfumes. Honestly I wasn't sure it would effect fast and give the fresh smell without any fragrances. I tried it myself and I can tell you. It works very well!!! Fresh Wave All Natural Odor Neutralizing Spray is unscented. You don't have to deal with some fake perfumes that can cause headaches and irritate eyes. Plus it's not just air freshener. You can use it for fabrics too. I used Fresh Wave Spray on the couch last night. Fast and totally effective. A few light mists of Fresh Wave Spray eliminates odors in the air and from fabrics. I was having my morning coffee this morning, sitting on the couch and watching news. Totally amazed me. It smells like new fabric. Use this product for any place you want..Pillows, pet beds, couch, curtains.. without worrying about safety. I placed the Fresh Wave Odor Neutralizing Crystals in the bathroom. And I took out the old one. Just removed the lid and left on the counter. My son was asking me this morning..
-You're gonna miss the bus. -I can sit here all day! This product is just perfect for basements and attics! All you need to do is remove the lid. Lasts 30 days to 90 days! This morning, I took a walk. When I got back home, I felt the freshness of nature in home. A fresh smell all around the house!!! Bottom Line; It’s safe to use around pets and kids. All natural ingredients and none-toxic. I wasn't expecting from a natural product to give that fresh smell to my house. I'm really impressed. If you are not after fake perfumes and if you're looking for safe and effective products to eliminate odors, this product deodorizes your home without chemicals. Give Fresh Wave Green Home Kit a try ! L I I T..Want some??? It has been a while we haven't spent some time just drinking and talking. Hubby works long hours and comes tired. Last Friday Aria got tried wrestling with daddy around on the ground and went to bed. We were talking about last summer, cocktails and especially one made with gin, tequila, rum and vodka. 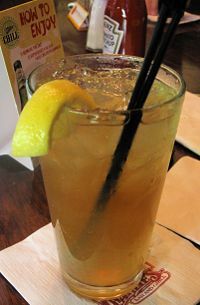 Long Island Ice Tea! I love that drink. I prepared it once with the help of a friend before. It was fun to make this drink as much as drinking it:) Here is the recipe if you'd like to give a try. Mix ingredients(except coke) with ice in a collins glass then transfer to shaker and shake then pour back into glass. Then pour soda water(Coca-Cola, Pepsi, or RC Cola) without stirring. Garnish with lemon or lime. 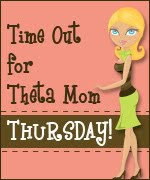 Do you want to know what the other moms did in their 'me' time?? Come on, click Heather's cute button and join me! This weekend the weather was sunny and gorgeous. Hope everyone had a great weekend. A little chilly and rainy today! I'm in kitchen now and making a yummy soup! It was Sunday morning, he woke up so happy! I thought it was the right moment to take a great shot of him! He kept laughing until I called him for breakfast! Place eggplant slices on a lightly greased cookie sheet. Brush lightly with oil. Sprinkle with salt and pepper.Cover with foil and bake in a 400 degree oven until eggplant slices are soft. In small bowl mix ricotta, oregano and beaten eggs.Set aside. Combine tomato sauce,spaghetti sauce and brown ground meat in a bowl. A lot of wind...A lot of rain!!! It is horrible outside. High wind up to 50 mph and rain brought lots of trouble in Long Island today. Downed trees, downed wires..I remember 7 years ago, it was very windy just like today.A tree felt on to my husband's car.Lol, he had to say 'good bye'to his car. I took my son to the dentist today. Then we stopped grocery store. I got fresh kale and broccoli. I saw a few times on tv and planning to try that green drink. When we got back home today, one of the lamps were broken and the tent was just like that at backyard.We could barely closed the kitchen door. I hear the wind inside right now.Lol,it really sounds scary!!! Anyway, my helper and I decided to make a green drink. I placed kale, broccoli, cucumber(English), carrot, apple, strawberry, lemon juice, orange juice and ginger in the blender and made two glasses of green drink. We played drinking games:-) Otherwise I'm not sure he would drink it. Sounds ewww? Yeap, I thought it would be..But it wasn't that bad! Seriously,I kinda like it. I didn't measure though. Don't think that I'm depressed because of the weather and had this drink:) Hehe..Lol, believe me it is not that bad! And Jen@Starting Over and Emily@Beauty Inside@Out tagged me. -Spending some time with my son at a park. -Watching our son grow with hubby. -To feel the sand between my toes. -To paint my son's room. -To have a cup of tea. -To watch my son in swimming class. -I cleaned out the fridge and the pantry. -My son or me-still don't know- accidentally posted an unfinished draft post. -My son made me laugh hysterically. -I got an appointment from my son's dentist. -Sitting by the fire and talking. -The first snow of winter. -Making a snowman with my son. -My hair straightener is dead. I need a new one! -Healthy cooking-eating and healthy living. -You can learn a new thing from your child. -Life is REALLY too short! -Don't go to bed angry. -Start each day with a positive outlook. -Don't be afraid to follow your heart. -Saying cheese when posing, doesn't work for me. -To organize the garden shed. Please visit these wonderful blogs and spread some love!!! Ok, this is not an award. I took this picture two days ago. The first flower of the year in our backyard.Yay Spring!!! I was looking for a product to get a little color without any damage to my skin. I tried a few products but none of them looked natural to me.After I found Jergens Natural Glow Daily Moisturizer,I decided that Jergens is the one! After a few hours, the result amazed me. It gave my skin that sun-kiss. 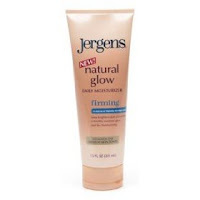 I used Jergens Natural Glow Daily Moisturizer Medium Skin Tones-7.5 Fl. oz. squeeze tube. I noticed my skin had a slight glow.It was very natural brown, soft and healthy.In three days I looked as if I tanned for three days straight.The first three days after, I didn't need to use it every day. It's easy to apply. But I recommend that you wear gloves while applying this product to avoid darker palms. Also It work better after the shower.Let your skin dry a while before using. After you applied your body, don't forget to rub a little bit of tanner on the back of your hands. This product doesn't contain any tape of SPF sunscreen. 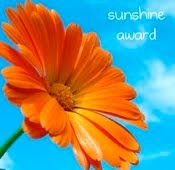 If you are in the sun, you will need to apply some. Jergens Natural Glow also has face moisturizer. But it made no difference in my skin color.Next time I will try medium/tan skin tone. I love wearing white after tanning. But unfortunately this product stains on clothes. I think Jergens Natural Glow Body Moisturizer is a great self tanning product. But if your skin is very dry you might need for a second moisturizer. It works! Gives skin a natural brown looking. Smells better than first time I bought. Enjoy your brown skin! My computer is finally fixed!! I didn't want to take it to BestBuy or Staples and pay too much money for this old computer to get fixed. Lol, it is not the good time for me to buy a new one either. So, I waited for someone who gives a better price. And I'm back!!! Have a wonderful weekend everyone! I'll be visiting your blogs over the weekend.